The Beach Front Resort is located 14 Kl or 8.6 miles before town of San Felipe. A Beautiful 3 bedroom, 3 full baths completely furnished house located on the Golf course and near the lake in La Ventana Del Mar Resort. This house accommodates 10 people in 3 spacious bedrooms with 1 Cal King, 1 Queen, and full size Pillow top beds. This is a large 2,200 Sq. Ft. house for your family and friends to enjoy. You have access to all amenities like several swimming pools, spas, Restaurants, and more with walking distance to the private beach on the warm Sea of Cortez. Inside the La Ventana Del Mar Resort which is and exclusive area of the El Dorado Ranch. This is a gated community with 24/7 roaming security. The area is quiet and only 10 minutes to town and the Malecon. You will be issued a gate pass for the duration of your visit. 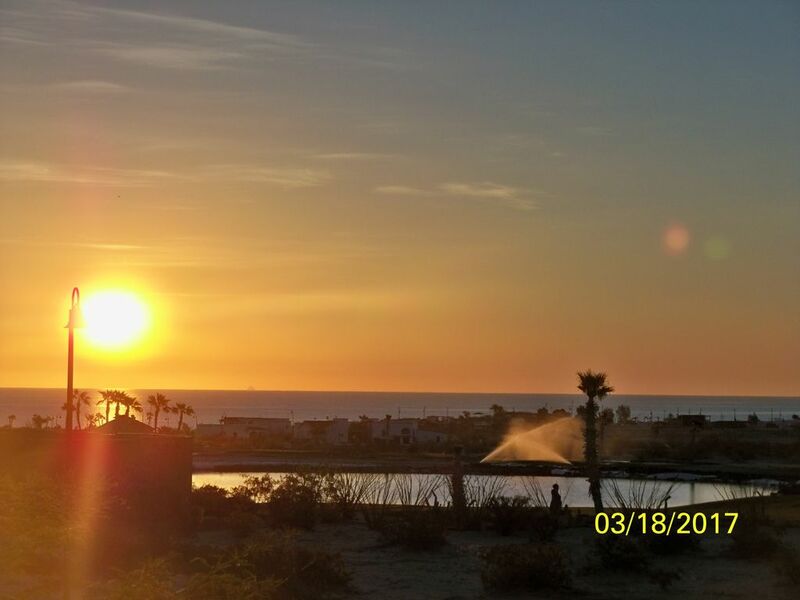 San Felipe is famous for its deep sea fishing, with many thing to do to enhance your vacation such as horse back riding, ATV's, jet skis, Hobie Cat, ultralight plane, digging for clams for the BBQ (butter & garlic), and the 18 hole golf course. Much more with a lot of desert exploring. Birthday or special occasion you can purchase fireworks and shoot them on the beach. And always every night entertainment in town on the Malecon. The resort has a shuttle service, unknown as to the schedule and if any fee's. I will always be available to answer any questions or need advise or guidance by email or phone. At all the pool and restaurants at the resort and town. Microwave, convection oven, dishwasher, gas stove, and all the cooking utensils needed. Very comfortable accommodations, spacious and well appointed. Having a garage was an added plus. 10 mIles to San Felipe, easy access. Would definitely stay again. Thank you for the nice comments. when you return to stay again please contact me directly.